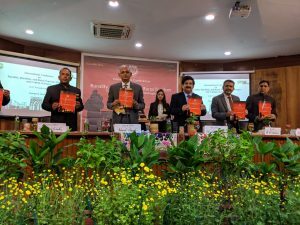 The domestic contributions to travel and tourism reached 87 per cent in India, according to the World Travel & Tourism Council’s (WTTC) annual economic impact data. Ranking fourth in domestic visitor spending, it is worth noting the rapid development of the domestic travel and tourism market in India, which grew by US$83 billion and rose from the eighth to the fourth largest domestic market between 2008 and 2017. 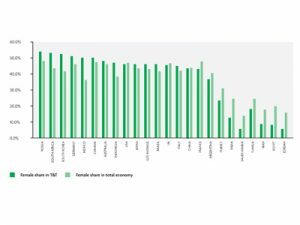 Unsurprisingly, the largest developed countries dominate the top spots in terms of absolute size of domestic spending. 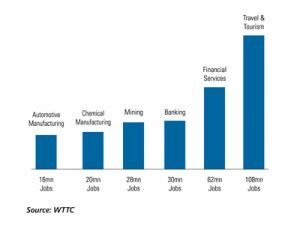 Domestic travel is the main driving force behind travel and tourism in major economies. Strong domestic tourism in most of these countries is driven by a growing or sizeable middle-class population, an increase in spending power among domestic consumers, the sheer size of the countries, governments’ initiatives in promoting new locations, and strong or improving transportation infrastructure and economic links between different internal regions. For instance, the Indian government plans to build 100 new airports with a budget of US$60bn over the next 10 to 15 years to accommodate and stimulate the demand for domestic travel. WTTC’s Power and Performance ranking has placed India at the third spot when it comes to domestic spending, after China and USA respectively. The report revealed that the absolute growth of domestic spending was 2.6 times higher than that of visitor exports over the seven years to 2017. 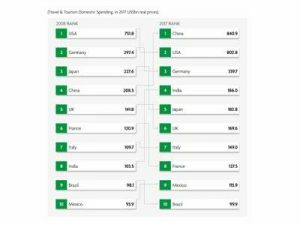 At the global level, domestic spending has grown on average by 4 per cent per year between 2011 and 2017. 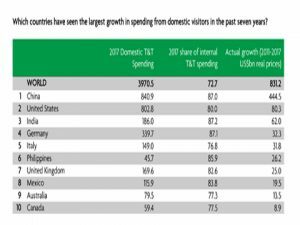 Over half of the absolute growth in domestic Travel & Tourism spending over the past seven years has come from China alone. 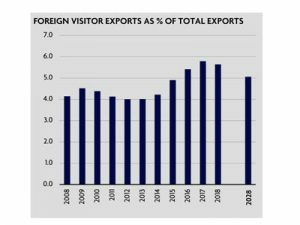 In well-established international tourism markets such as Spain, Turkey and UAE, the share of domestic spending has fallen over the years from 2011-17. 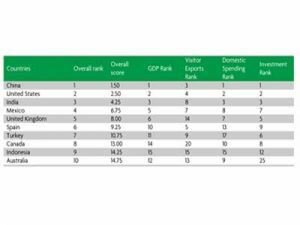 Iraq and Rwanda took the top two spots in performance rankings for domestic tourism spending across the seven years. Domestic spending is the money spent by residents of a country for both business and leisure trips that take place in that country. Nearly three-quarters of all Travel & Tourism spending (72.3 per cent) is from domestic tourists. While money from domestic tourism is not new money to a country, its use in terms of informing residents of countries’ natural and cultural attributes and engendering a source of pride is essential for social harmony. Domestic tourism is also important in spreading visitor spending to shoulder and off-season months and in dispersing visitors to less internationally-promoted regions and attractions. 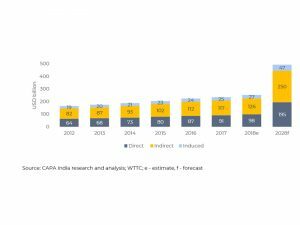 In 2018, visitor exports are expected to grow by 8.8 per cent, and India is expected to attract 18,655,000 international tourist arrivals, according to a report by WTTC. Visitor exports are a key component of the direct contribution of Travel and Tourism. In 2017, India generated Rs 1,777.1 billion in visitor exports. By 2028, international tourist arrivals are forecast to total 30,469,000, generating expenditure of Rs 3,316.4 bn, an increase of 5.5 per annum, the report said.